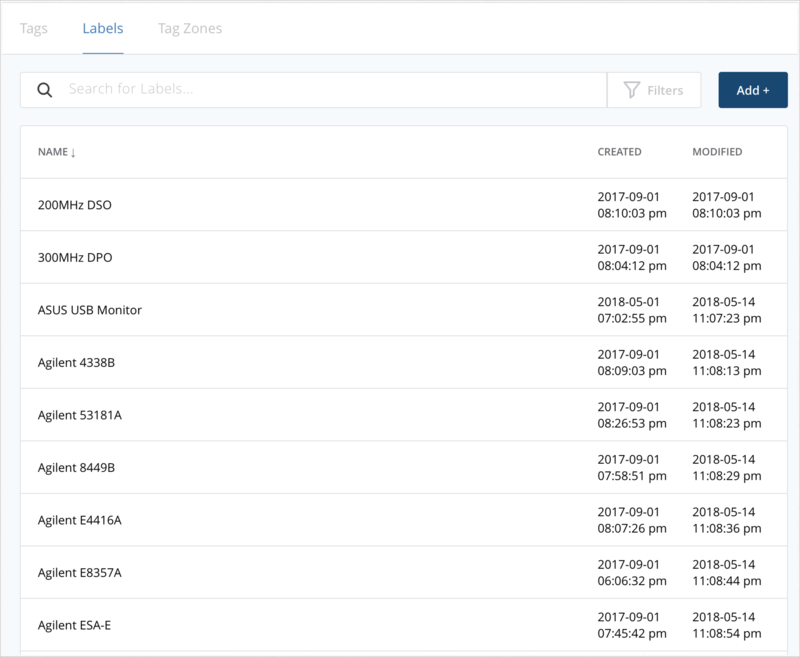 Like Beacons Management, you can use the Meridian Editor to manage and track Aruba Tags deployed to your location. Using the Editor, you can search for Tags, rename Tags, and remove or add labels. 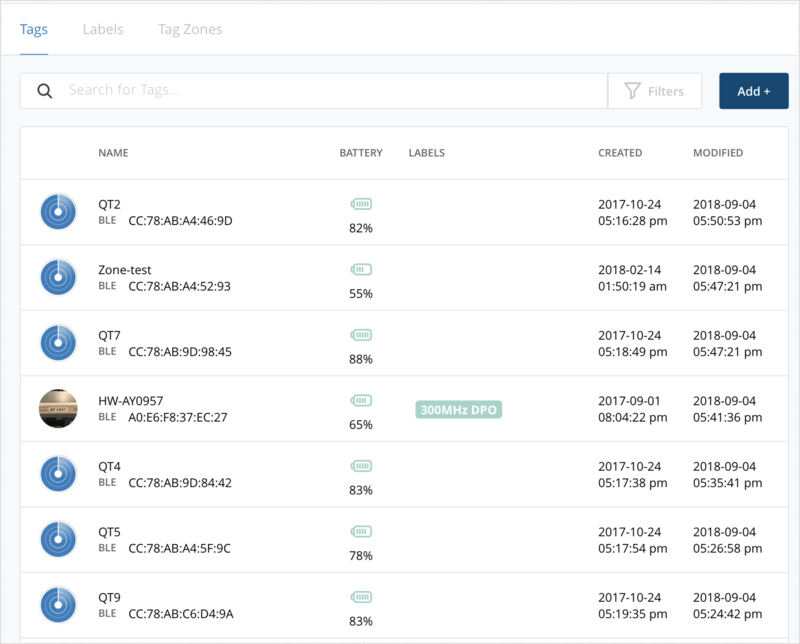 You can search for Aruba Tags by name or MAC address. You can do partial searches for both name and MAC address, but only on the beginning and end of the search string. For example, for the MAC address A0B2C3D4E5F6 you could search for A0B2 or E5F6, but not C3D4. The Filter button is another way of searching for and browsing smaller sets of Tags. To Filter Tags, click the Filter button, and then in the LABELS field start typing a label name. As you type, label names that match your string will appear below. You can filter by multiple labels. Click a Tag row to see that Tag's detail panel. The Tag Detail panel shows the Tag's map location, its name, its labels, the MAC address, the hardware type, the battery level, when it was last heard, and what it was heard by. 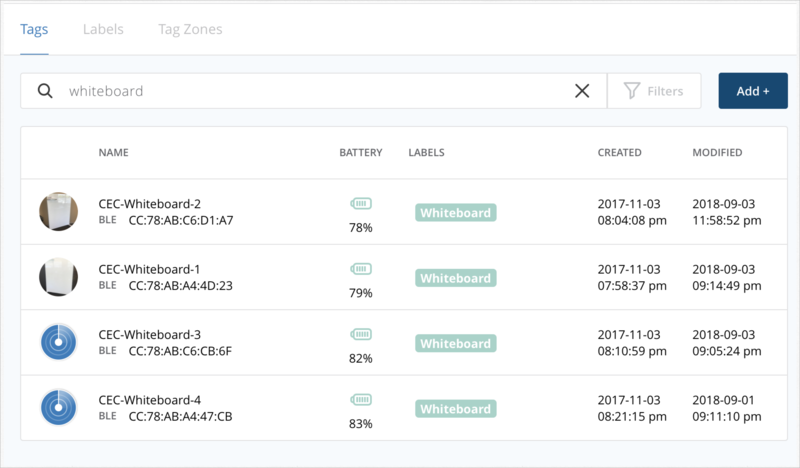 To see Aruba Tag battery levels in the Meridian Editor requires AOS 6.5.4.x or greater. To edit a Tag's name, in the NAME field, edit the text string, and then click Save. 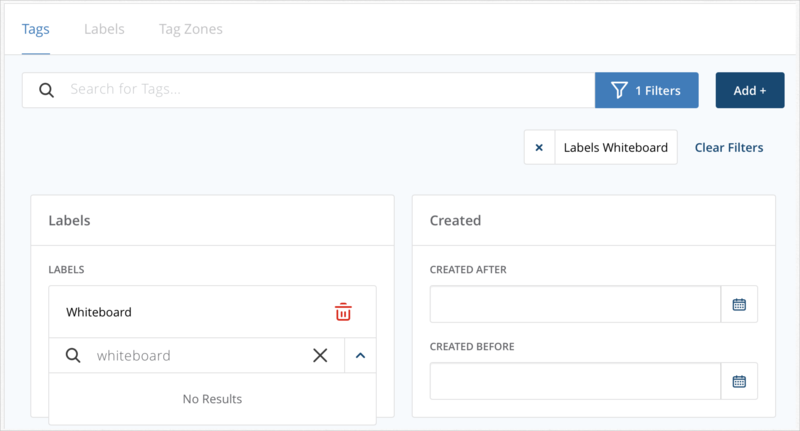 To add a label, click the LABELS field, and then enter a label search string. When you see the label you want, click the label to add it. To remove a label, click the x to the left of the label. There is no prompt to confirm the Label removal. The label is removed immediately. 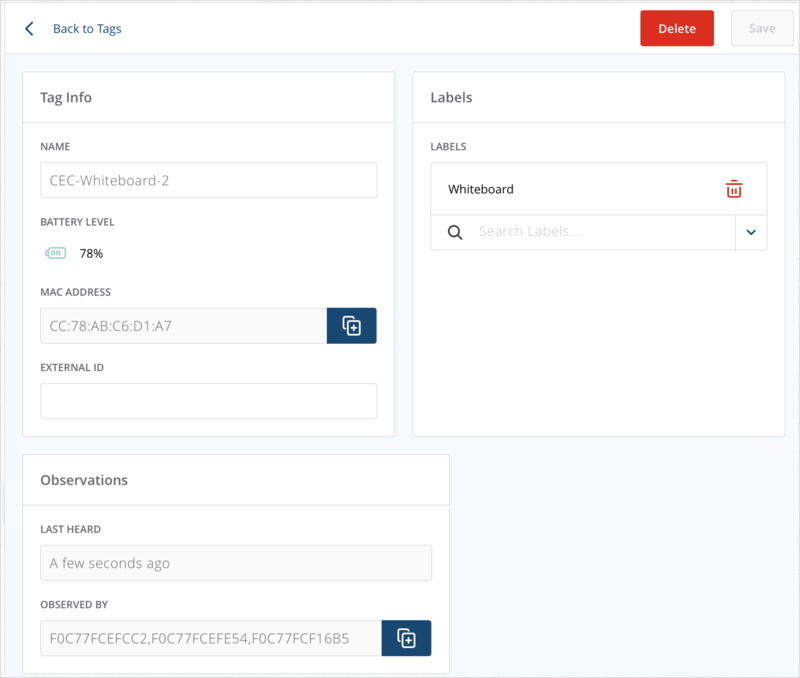 The Labels tab lets you add, edit, and delete Tag labels. To add a new label, click the + Add Label button. In the NAME field, enter the label name, and then click Save. To edit a label, click the Edit button. The Edit button looks like a pencil. In the NAME field, edit the Label, and then click Save. To delete a label, click the Delete button, and then click Ok. The Delete button looks like a red trashcan.